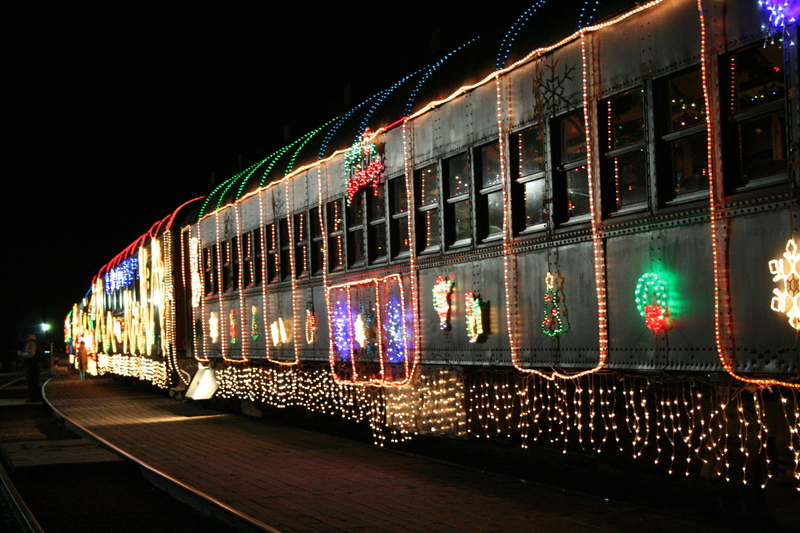 Don't let traffic ruin your holiday shopping — Go Metro instead! The holiday season countdown has begun and early-bird shopping on the Friday after Thanksgiving (Black Friday) is an annual tradition for bargain hunters across the country. Unfortunately, it comes with long lines, congested streets and overcrowded parking lots. But don’t worry–Metro serves the most popular shopping areas in town. Go Metro to avoid traffic and use your TAP card to get exclusive discounts around town. Northridge Fashion Center, Northridge: Metro Bus 242/243 to Tampa/Prairie or Metro Bus 166/364 to Nordhoff/Tampa. Paseo Colorado, Pasadena: Hop on the Gold Line to Memorial Park Station and walk south on Arroyo Parkway east on Colorado or take Metro Bus 180/181 or 686/687 to Colorado/Garfield. Old Pasadena:Gold Line to Memorial Park Station walk south on Arroyo Parkway west on Colorado or Metro Bus 180/181 to Colorado/Fair Oaks. Glendale Galleria, Glendale:Take Metro Bus 180/181 or 603 to Central/Americana. Hollywood & Highland Center, Hollywood: Take Red Line to Hollywood/Highland Station or Metro Bus 212/313, 217, 222 to Hollywood/Orange. The Grove, West Los Angeles: Metro Bus Rapid 16/316 3rd/Gardner or Metro Bus 217 to Fairfax/3rd. The Beverly Center, Beverly Hills: Take Metro Bus 105 or Rapid 705 to La Cienega/Beverly; Metro Bus 14/37 to Beverly/La Cienega. Rodeo Drive, Beverly Hills: Rodeo Drive, Beverly Hills. 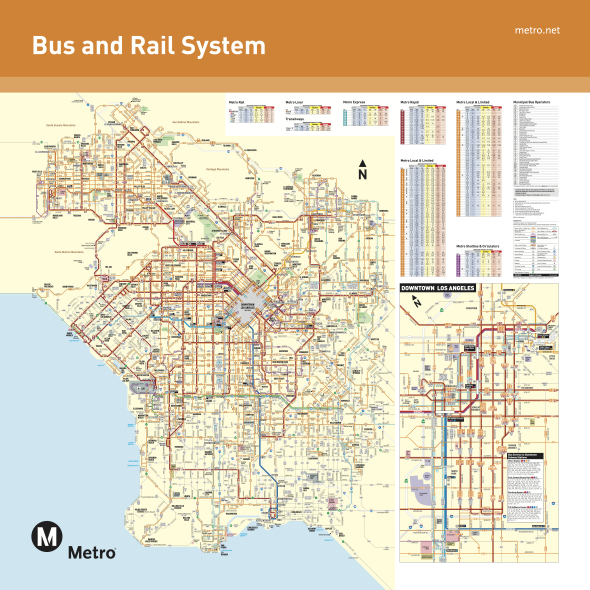 Metro Bus 20 to Wilshire/Rodeo; Metro Bus 4 or Rapid 704 to Santa Monica/Wilshire and connect with Bus 20. Westfield Century City, Century City: Metro Bus 4 or Rapid 704 to Santa Monica and Avenue of the Stars; Metro Bus 16/316, 28 or Rapid 728 to Constellation and Century Park West. 3rd Street Promenade, Santa Monica: Take Metro Bus Rapid 704 to 2nd/Santa Monica or Metro Rapid 720 to 4th/Broadway; Metro Rapid 733 or 534 to 2nd/Santa Monica. There are also several Santa Monica Big Blue Bus routes including BBB 1, 2, Rapid 10 and Rapid 20 service downtown Santa Monica. Citadel Outlet Mall, East Los Angeles: Metro Bus 62 to Telegraph/Citadel. Westfield Culver City, Culver City: Metro Bus 108/358 or 217 to Green Valley/Sepulveda. Baldwin Hills Crenshaw, South L.A.: Metro Bus 40, 105, Rapid 705 to Crenshaw/King. South Bay Galleria, Redondo Beach: Metro Bus 40, 210, Rapid 710, Rapid 740 to South Bay Galleria Transit Center. FIGat7th: Take Red, Purple, Blue or Expo Line to 7th Street/Metro Center. The Bloc – Macy’s Plaza: The 7th/Metro Center is served by the Metro Red, Purple, Blue and Expo Line and is across the street from the mall. Metro Bus 14, 16, 51, 52, 94 and the Metro Silver Line all stop at or near the intersection of 7th & Figueroa. Fashion District/Santee Alley: Metro Bus 10, 28, 33, 37, 66, Rapid 728 and Rapid 733 to Spring/9th. Jewelry District: The heart of the district is on 6th between Hill and Broadway. Metro Red or Purple Line to Pershing Square Station; Metro Bus 51, 52, 90/91, or 352. Melrose Avenue between La Brea and Fairfax. Metro Bus 10 serves Melrose. Connections can be made via Bus 212/312 that runs on La Brea and Bus 217 or Rapid 780 that runs on Fairfax. Abbott Kinney, Venice. Metro Bus 33 and 733 stop at Venice Boulevard and Abbott Kinney — walk north on Abbott Kinney from there. Ventura Boulevard between Laurel Canyon Drive and Whitsett Ave. in Studio City. Metro Bus 150, 240 and Rapid 750 serve Ventura Blvd. with connections to Bus 218 that runs on Laurel Canyon Blvd. Hilhurst Bouleavard, Los Feliz. Metro Red Line to Vermont/Sunset Station, then board the DASH Loz Feliz to Hilhurst and Los Feliz Blvd. If you’ve got someone in your life who just can’t get enough of transit, get him or her something from the Metro Store! Why didn’t you include the Burbank Mall and maybe the Empire Center? The 256 serves both Old Town Pasadena and The Paseo. The 780 serve OTP, Paseo, Glendale Galleria, and the Eagle Rock Plaza. The Eagle Rock Plaza is also served by the 180/181. Thanks for the recommendations. Happy shopping!